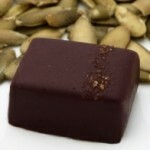 Nicobella's Vegan Organic Pumpkin Chai Truffle...A Holiday Favorite. I have been meaning to post this story for some time now about some incredible organic, vegan chocolates that I was lucky to discover, but now I realize that I never got to it so that now I could give you a holiday shopping suggestion that anyone would love. Nicobella Vegan Organic Chocolates are the creation of registered dietician/nutritionist Nichole Dandrea…yes that’s right a dietician gave us something good for us and amazingly, melt in your mouth delicious too. This will show any doubters that eating vegan doesn’t have to mean giving up being indulgent and enjoying delicious chocolates. Nichole’s vision was to create chocolate truffles that would actually be healthy…and she has succeeded. Starting with 70% dark chocolate, and rather than adding cream and lots of sugar she adds even more anit-oxidant rich ingredients like blueberries, green tea and even omega 3 rich walnuts and flax seeds. 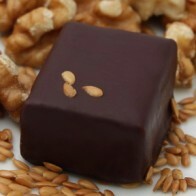 She even uses agave or brown rice syrup to sweeten the ganache centers. On the Nicobella website you can even read about the health benefits from the ingredients in each of the different truffles. Most chocolates out there should have a warning sign about what is inside, but these could have a label on how they are good for you. Her commitment to her product is to be applauded, and that means ingredients are sustainably obtained, organic and fair-trade, which translates to good for the earth, good for the people who have worked to produce the ingredients, and good for us who are lucky enough to eat them. There are so many shared benefits when food is grown, processed and then packaged with a commitment to not do harm. And lucky for us this includes not doing harm to our health when we eat these moderately. What I have discovered is that the better the product the less I need to eat of it at one time to feel satisfied. The flavors are so much more intense and I really taste every ingredient. Foods that I might have enjoyed some years ago just don’t have the flavor that I now demand, and what a relief to not need to eat as much-weight becomes less of an issue for almost everyone when they start eating better quality food. There are so many benefits that come when caring about consumers and the food producers, rather than just concern about marketing and profit. We really are being poisoned with our industrial food system. Toxins used in growing food are making farm workers sick, as well as those who eat the final product. Our water supplies are also being polluted and the continued growth of genetically modified food, when we don’t even know the long range health ramifications, are all a part of our corporate food system; many doctors are even telling their patients not to eat GMO food…But back to chocolate. You can rest assured with Nicobella vegan, organic truffles that what you are eating is actually beneficial for your body and did not contribute to the degradation of the earth and farm workers. The chocolate is manufactured for Nicobella by Theo Chocolate, the first organic, fair-trade, bean to bar chocolate factory in the US. Theo’s commitment to sustainable manufacturing (you can read their story here) is equal to Nichole’s-it took a year of her persistence to come to an agreement for Theo to produce Nichole’s creations but she knew they were the company to partner with. Certified organic and fair-trade means even more than a better wage for people producing ingredients but also partnering in education and often in providing health care. There is no reason to give up chocolate, just switch to chocolate that is really chocolate not something brown that is filled with additives and chemicals. You can also make a commitment to shopping with more social responsibility when you buy fair trade products and there are many organic brands of chocolate that are fair-trade, as well as other products from coffee to rice, so look for the fair-trade label and feel even better about the products that you buy. We have so much power with every purchase that we make to show that we are concerned about the planet and all of the people who we share it with. 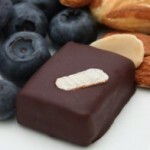 Right now you can order these great chocolates as gifts (and don’t forget some for you too) and receive a 20% discount. If you order a three pack of truffles Nichole will also send a free bag of Munch (just enter SmartLifeways in the gift message box), her latest creation and I can vouch for it being delicious-I was able to sample some the day that we met up and made a short video. If I seem a little giggly in the video it’s because the truffles were just so good. Order some of these healthy and delicious chocolates and experience what chocolate is meant to taste like. 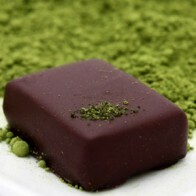 SmartLifeways and Nicobella Vegan Organic Chocolate Truffles from SmartLifeways on Vimeo.